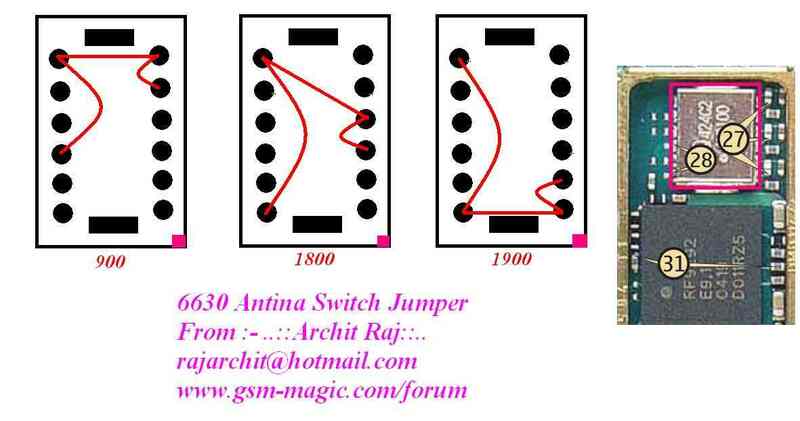 Signal or network problem on Nokia phones, including Nokia 6630, usually caused by damage to the three main components, namely RF Processor, Power Amplifier, and Duplexer. Damage to the RF Processor can be detected from the settings menu, then switch the network settings to manual mode. 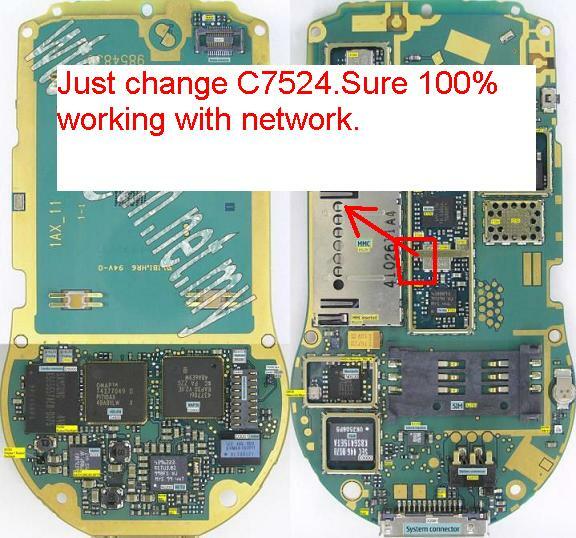 When the phone can detect the network operator, then most likely the RF Processor does not have a problem. Next do the checks on the Duplexer and Power Amplifier. 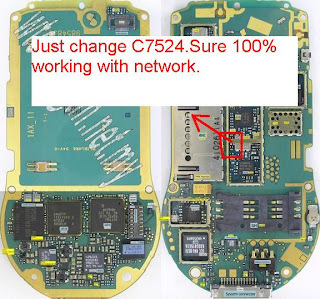 Here are a mobile repair provides two images related to Nokia 6630 no network. 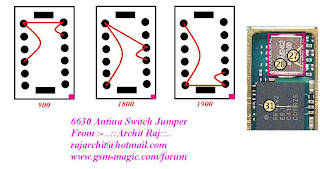 In this picture are shown how to perform techniques Duplexer jumpers on the Nokia 6630.